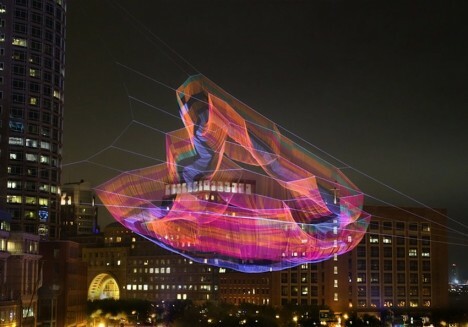 Step into three-dimensional blueprints made of light, gaze at flickering ghost ships and walk beneath artificial aurora borealis with this stunning set of interactive illuminated installations. 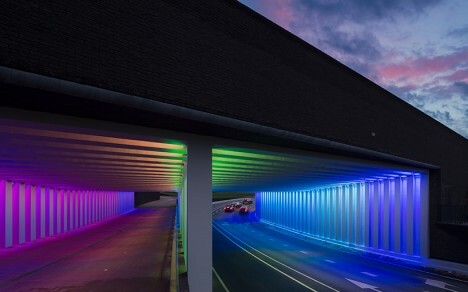 Often reacting to physical stimuli like the movement of the wind or the people viewing them, these light art projects blur the lines between what’s real and what’s illusion. 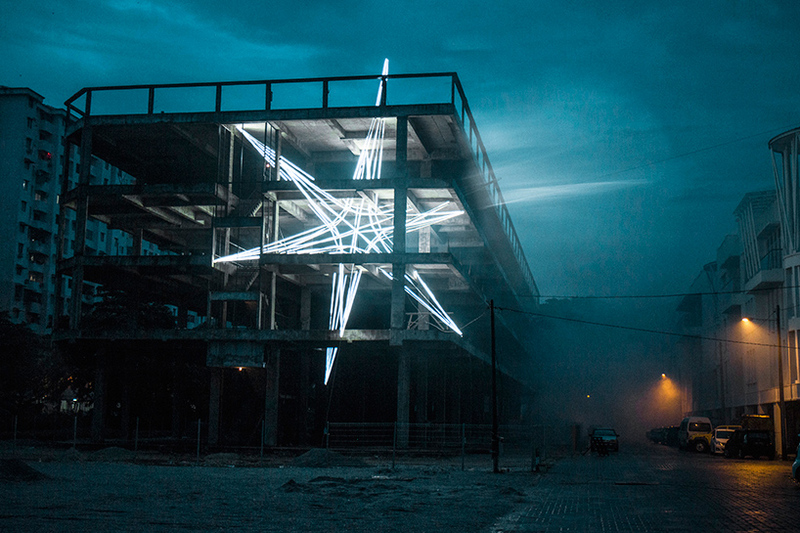 The concrete shell of a partially completed building in in the Malaysian town of Butterworth is currently occupied by a five-story glowing star by artist and architect Jun Ong. 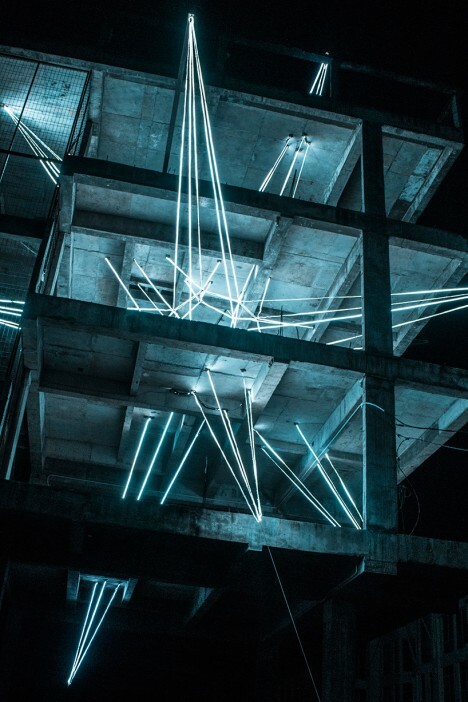 Inspired by glitches, the installation consists of five hundred meters of steel cables and LED strips and is meant to highlight the once-bustling city’s fragmented identity. 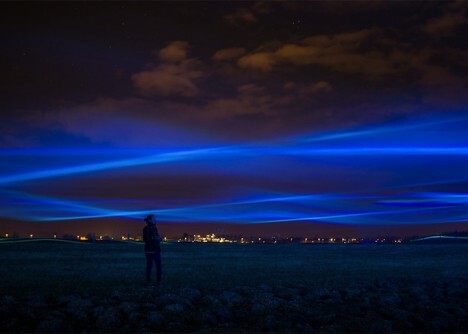 The sky over Westervoort in the Netherlands is illuminated in swaths of eerie blue, mimicking the natural phenomenon of the ‘northern lights,’ or aurora borealis. 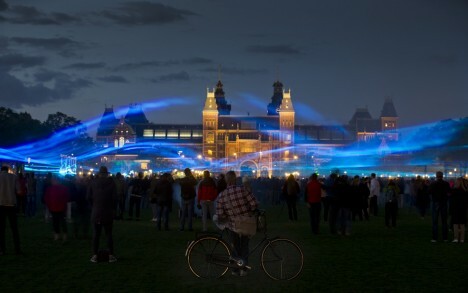 Artist Daan Roosegaarde made use of the area’s foggy conditions to reflect beams of blue Led lights to raise awareness about the Dutch waterworks that keep the country from being inundated with water. 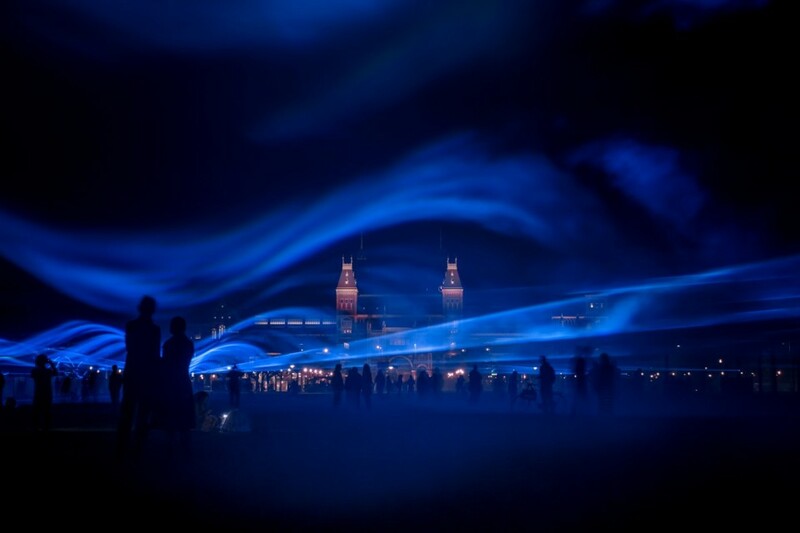 Another light-based installation in the Netherlands reminds visitors that without the modern interventions that are in place, the Netherlands would be underwater. 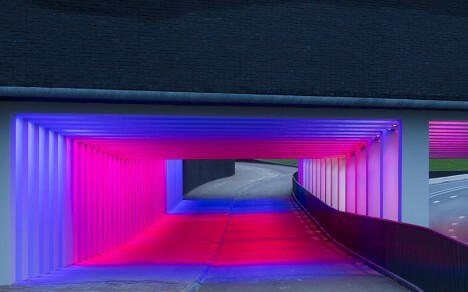 These two tunnels linking a newly developed area of Zutphen to the historic city center were transformed by Herman Kuijer, their rainbow hues slowly shifting in time with the movement of nearby water. 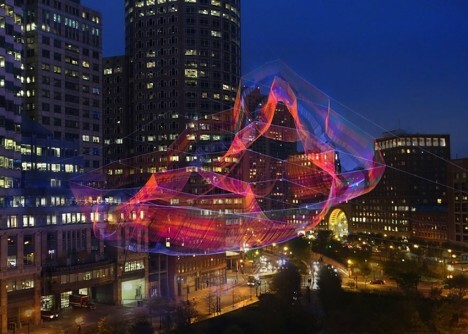 Barely visible during the day and illuminated at night, one hundred miles of twine suspended above the city of Boston aims to “visually knit together the fabric of the city with art.” Artist Janet Echelman tied over 500,000 knots to create the 600-foot-wide installation, which undulates irregularly in the wind. 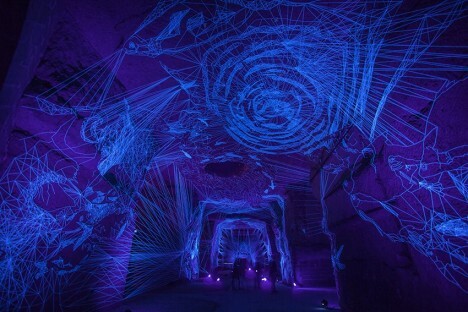 Artist Julien Salaud coats thread with UV paint so it glows under ultraviolet light, and then weaves it into incredibly intricate three-dimensional drawings that occupy entire architectural spaces. 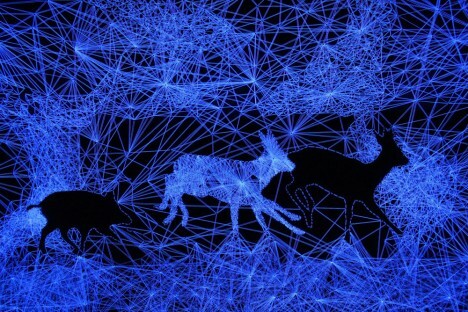 The ‘Stellar Cave’ series creates an enchanting environment filled with silhouettes of animals and constellations for a mystical effect.